There is a lot of grey area between the peace and the panic, but at this point, it has come second nature to Neck Deep. The Welsh pop-punk group has been through more than the average band in their career so far. From signing to a major label in 2013, touring the world for most of the year, to dealing with loved ones passing away, it has been a non-stop whirlwind for these lads. 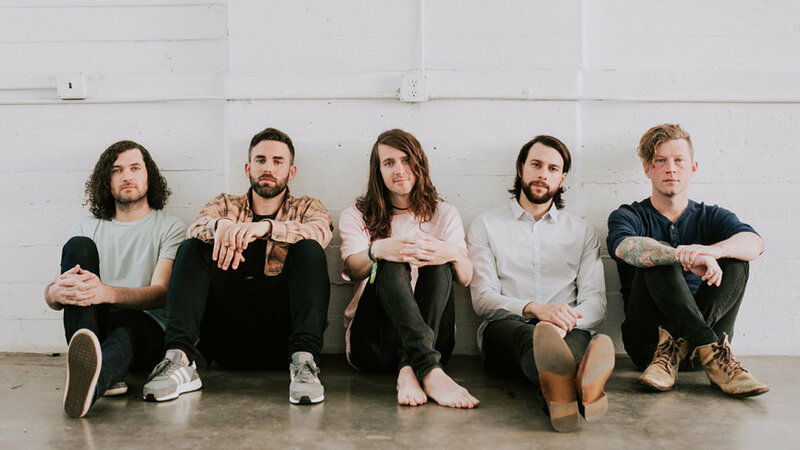 However, they've kept their heads on, and they are striving ahead with an incredibly positive outlook on their music, and their lives - something they hope they can inspire fans to do as well. They have an incredibly balanced perspective on all of the emotions that they've had to deal with, from pain and sorrow, to complete joy, understanding that in life, we need a bit of both. I got to chat with lead vocalist Ben Barlow [pictured above, centre] prior to their show in Calgary, where we talked about the band's triumphant new record, The Peace And The Panic.